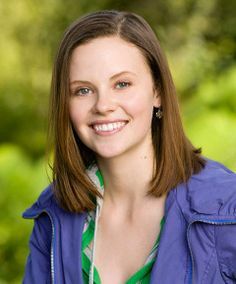 Sarah Ramos is an American actress. She is best known for portraying Patty Pryor on the NBC drama TV series American Dreams from 2002 to 2005, and as Haddie Braverman on the NBC series Parenthood 2010 to 2015. For her performance in American Dreams, she won a Woman’s Image Network Award for Best Actress in a Drama series in 2003. Her other notable television performances include: Runaway, The Affair, and Midnight, Texas. She also voices characters in the series Family Guy and Robot Chicken. Born Sarah Emily Ramos on May 21, 1991 in Los Angeles, California, USA, to Sharon (Biederman) and Steve Ramos, Jr., she is of Polish Jewish descent on her mother’s side, and her father is of one quarter Filipino ancestry. She has a brother. She began her acting career as a child appearing on television commercials. She graduated in May 2015 from Columbia University. She has been in a relationship with director Matt Spicer since 2013. *She was born on May 21, 1991 in Los Angeles, California, USA. *She began appearing on commercials as a child. *She did her first commercial for Universal Studios. *She is a 2015 graduate of Columbia University.